You may remember that I reviewed PAWA here and then reported on one update after another recently? And then one more. Well, it's updated yet again, and I make no apologies for covering this really interesting tool, here here with options to better handle the resulting web experience. In case you'd been living under a rock, PAWA lets you add packaged PWAs (Progressive Web Applications) to your Start screen, so that they launch and run without Edge browser furniture. 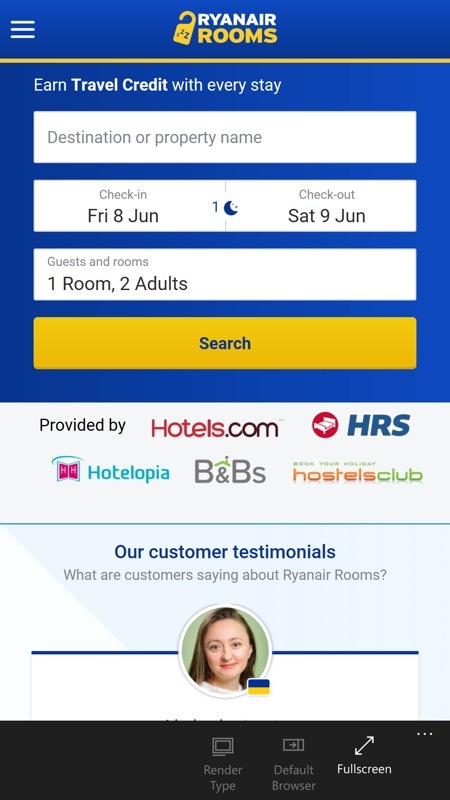 As before, the support for multiple packaged sites/apps means, for example, you can have Ryanair Rooms in one instance, Google Maps Go in another, and the Financial Times in yet another. All accessed from your Start screen and thereafter from the multitasking carousel in Windows 10 Mobile. Previous versions of PAWA had the possible downside that tapping the Start tile if there were already an instance of that site/PWA running would start another, leading to confusion and RAM wastage, but the developer - perhaps as an experiment - has now made it so that tapping on a PAWA tile when that PWA is already in RAM seems to close that instance, i.e. you have control. Then tapping again starts a new instance. If this is official behaviour now then I'd like to see it documented! 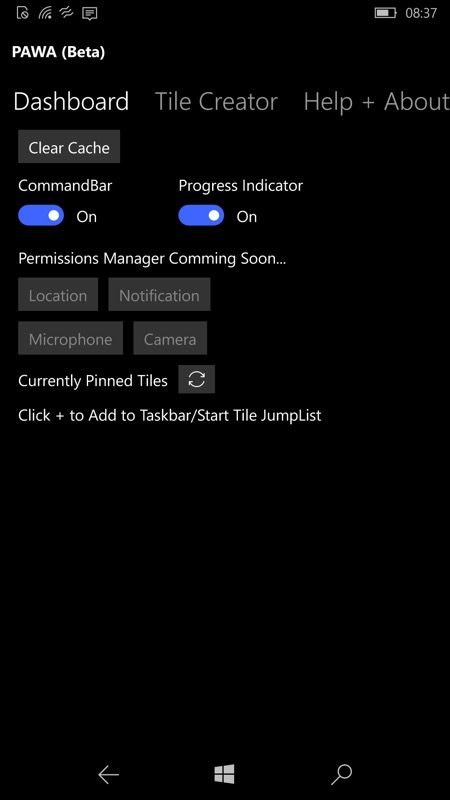 Setting up a new Start tile 'instance' in the usual way - name, URL, icon; (right) new toggles control the optional command bar and progress indicators. For efficient PWAs, the loading time is so short that you don't really get a chance to see progress indicators, but look at the top of the screen here to see familiar scrolling dots. Plus there's a black (slim) command bar at the bottom, with '...' and this expands as you'd expect. The command bar expands to just have 'Fullscreen' at the moment - somewhat pointless since you were the one who asked for the command bar in the Dashboard in the first place! But the facility is there in order that the developer can put in extra web aids - you can already see two more command controls greyed out: Render Type and Default Browser. 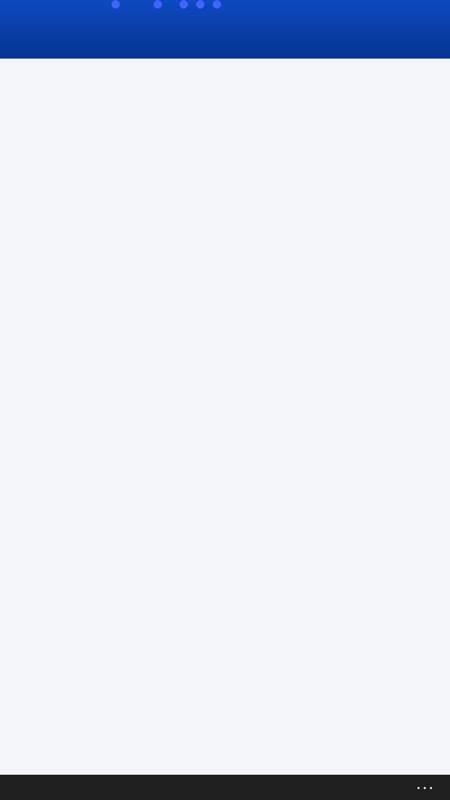 So it seems that there's plenty more to come from PAWA's developer. You can grab PAWA in the Store here. 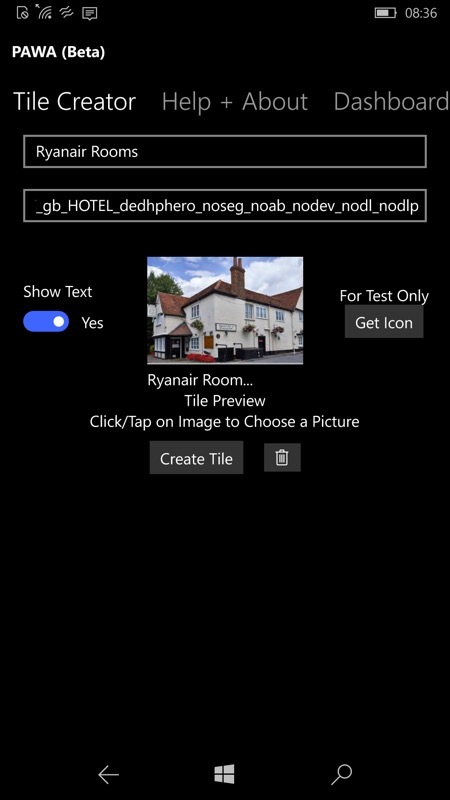 This is a great addition to Windows 10 Mobile, especially as there are now so many HTML5 sites and PWAs taking the place, in many cases, of native WP8.1 or UWP applications. Yes, some are now being bundled in the Store as standalone installs, but most aren't and it's here that PAWA steps in.